Writing Updates for December 2016 — "Bad Appetites" is available for pre-order! Long time, no see! First and foremost, sorry for the lack of updates on this blog. I've been very busy these past few months. I'm a one-man team, so it's difficult to keep track of everything. If you're interested in more frequent updates, you should like my Facebook page or follow me on Twitter. I'll try to keep those updated. Enough apologies, though. Let's get to some quick and efficient book updates. 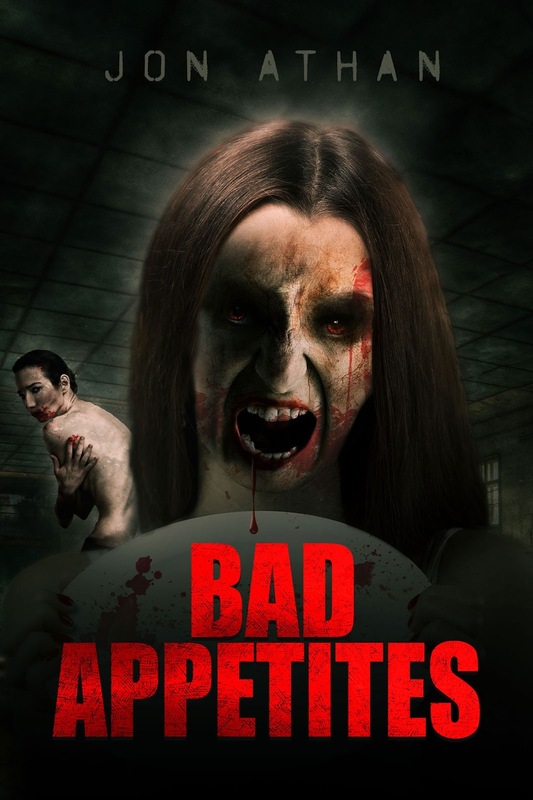 Bad Appetites is available for pre-order now. This is a body horror novel about a young woman who discovers miracle weight loss pills. All is well until the pills start changing her body, mind, and appetite for the worst... This book is a little different from my usual. The first act works more as a psychological horror/drama while the rest is a traditional grotesque body horror story. If you're tired of my serial killer books, this might be a breath of fresh air for you. Bad Appetites is out January 7th, 2017, available for $2.99 or free through Kindle Unlimited. Also, if you liked my Facebook page, you probably already know what's coming in March 2017: The Abuse of Ashley Collins. This book will take me back to my roots of human horror. It's about the nasty stuff people do to each other. Like some of my other books, this novel will have a subtle message in it, too. It's a very violent and disturbing book, but I'm really trying to say something about abuse — particularly, I'm talking about the cycle of abuse. I think it'll be a powerful book. I already finished the first draft for April's book. It's also very disturbing and even distressing. I'm currently working on May's book, which is a stalker story. Anyway, I think that's a large enough update. I'll be back to share details on future releases. I'll try to keep this blog updated, too. Thanks for reading and I hope you have a great 2017!